The Marcus Malone and Innes Sibun Band will rock the Barnoldswick Music and Arts Centre on Thursday, April 24th, with music kicking off at 8pm. They formed the new band in March last year after a chance meeting at a show which uncovered a surprising amount of musical common ground. 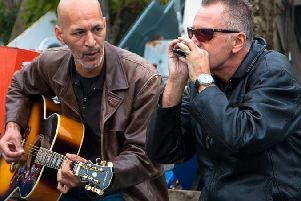 Together the two stellar musicians will play a powerful mix of rock, blues, soul and funk.